Collection Maison Coloniale models that mix Chinese and Indonesian Hindus. 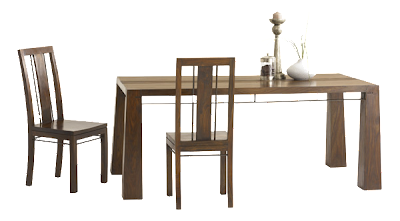 ﻿Mesa L. 130 x H. 64 x P. 130 cm. From shisham solid (variety of Indian rosewood). 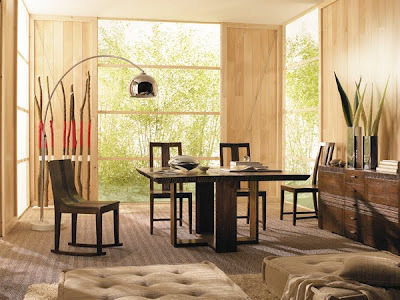 Silla L. 44 x H. 62 x P. 45 cm.Banco L. 130 x H. 34 x P. 42 cm. 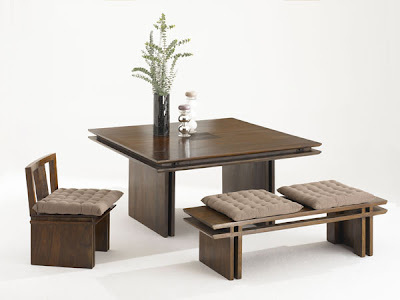 ﻿Mix Lounge massive old recycled teak. Assembly of beams and notches. 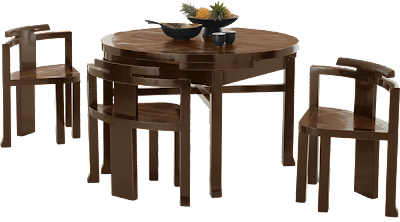 Natural.Mesa Finish Dining: L. 140 x H. 78 x P. 140 cm. There are also two elongated door 50 April cm.Aparador L. 200 x H. 90 x P. 55 cm. Apollo L. Silla 46 x H. 91 x P. 56 cm. Metal structure. Polyurethane foam seat covered with brown reconstituted leather (available in beige or black). Coated fabric cover 100% cotton prewashed. ﻿From shisham solid (variety of Indian rosewood.) Assembly of beams and notches. Natural dye to alcohol. 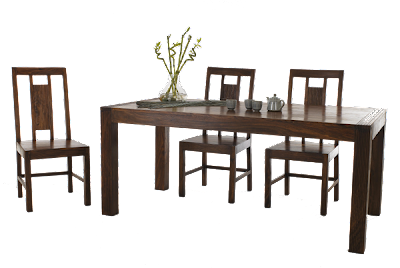 Encerado.Mesa Finish: L. 180 x H. 76 x P. 90 cm. ﻿L 180 x H 90 x P 76 GRDC shisham solid (variety of Indian rosewood.) Assembly of beams and notches. Natural dye to alcohol. Varnished, waxed. ﻿L. 140 x H. 74 x P. 140 cm with two extension cords 30 Massif cm.De shisham (variety of Indian rosewood). 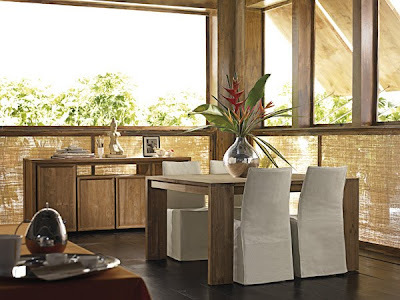 Muescas.Acabado assembly of beams and carved tinted encerado.Alargo opcional.Mesa of comedorL. 140 x H. 74 x P. 140 cm with two 30 cm.SillaL extension cords. 45 x H. 99 x P. 44 cm.